If you’re a fan of the series Rosewood, you may have noticed a familiar tune while watching the show last night. “Beast Out The Box” from ¡MAYDAY! and MURS’s collaborative album ¡MURSDAY! set the mood of the episode’s opening scene Wednesday evening. The scene featuring “Beast Out The Box” shows a man going on his morning run, before coming across numerous hundred dollar bills and eventually two floating bodies. We initially thought “Beast Out The Box” may have symbolized good luck… until the floating bodies. Either way, it’s awesome to see ¡MURSDAY! getting exposure. Thanks to Wrekonize, we can check out the scene below! 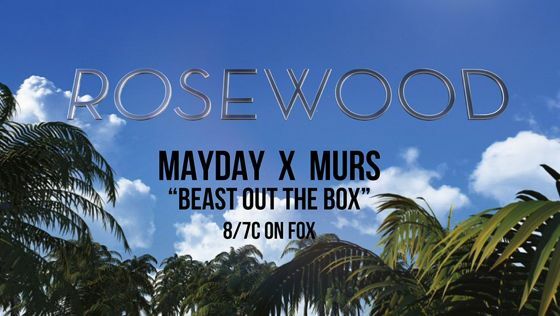 Did you catch Rosewood’s episode featuring “Beast Out The Box”? Would you like to see another MURS x ¡MAYDAY! collab?